Let’s face it: the iPhone camera leaves a lot to be desired. The resolution is simply okay, but as far as editing and effects go, there’s nothing there for would-be photo bugs. And if you do get a decent photo using your iPhone, the only way to gussy it up is by connecting it to your Mac or PC and using Photoshop or similar editing software. But as the famous ad campaign says, “There’s an app for that.’ PhotoForge 2 by GhostBird virtually eliminates the need for pricey photo-editing software and removes the hassle of transferring your pictures to another device. 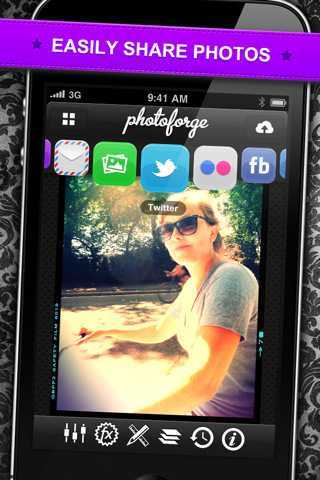 With an abundance of filters, textures, frames, editing options, and even the ability to layer your photos, PhotoForge 2 is one of the best values on the App Store. 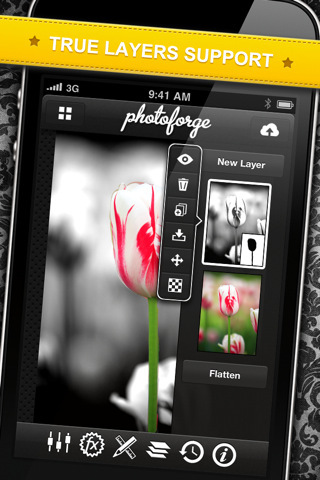 The interface and design of PhotoForge 2 is simple and intuitive. To start, simply select one of your photos from your photo library to create a new project. From there, the menu of options are located at the bottom of the screen. The first option is level adjustment. Choose from simple things like color, contrast, and brightness, or more advanced adjustments such as exposure, noise reduction, and vibrance. From there, move on to FX, which consists of a variety of preset filters with names like Dreamy, Gothic, Neon, Negative, and Twirl. These filters can do simple things like add subtle visual filters to your photos, or completely change the look by giving them a stain-glass window look (Crystalize) or a oil painting effect (Impressionist). 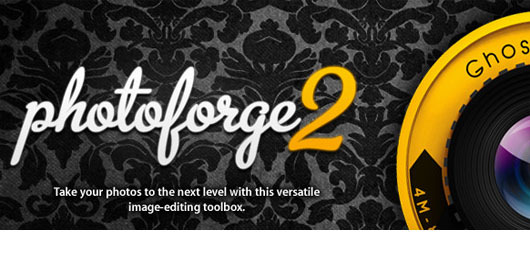 Next, you’re able to crop, resize, add frames, or give texture to your photos. This last feature, texture, gives you the ability to add a dozen remarkable textures to your photos, making them look as though they were projected on slate, wood, or a number of other types of canvas. Using this texture feature in conjunction with the Impressionist filter, I was able to turn a simple picture of the dock at my cabin into what appears to be a gorgeous oil painting on a slate canvas. The result is very impressive. Using a high-end program like Photoshop can be somewhat daunting to newcomers. And this is where PhotoForge 2 really excels. Not only does it provide a ton of options and features, but it does so in an extremely user-friendly way. Even the most technologically inept and artistically void person can quickly turn simple, pedestrian photos into beautiful works of art. 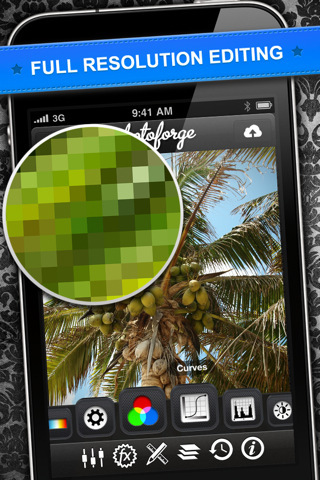 And, if you’re simply someone looking to touch up a photo to give it a bit more life, PhotoForge 2 is perfect for that as well. 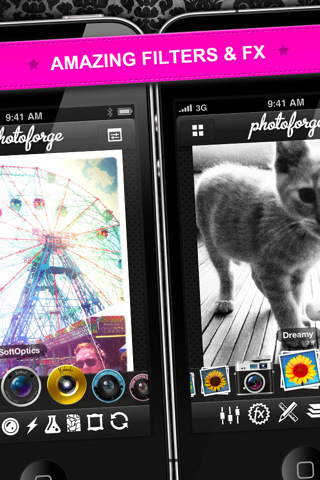 Bottom Line: PhotoForge 2 is a must-have app for your iPhone. PhotoForge 2 is compatible with iPhone, iPod touch, and iPad. Requires iOS 4.2 or later.